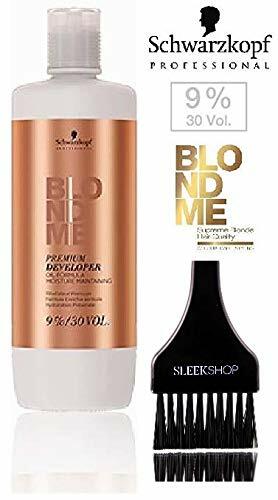 Schwarzkopf BlondMe Premium Developer Oil Formula is a luxuriously caring professional developer specially formulated to work in harmony with BlondMe Toning and BlondMe Lightener. With a high concentration of nourishing mineral oil, BlondMe Developer supports the natural moisture balance of your clients' hair. This rich formula also ensures a reduced water level in the developer which prevents the dilution of color, alkalizers and peroxides. Its caring formula supports hair's natural moisture balance which ensures your new blondes have brilliant shine and a wonderfully soft feel to their hair. 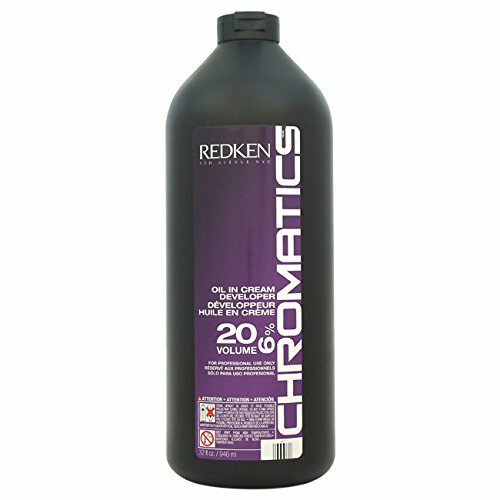 6% (20 volume) - the strength for conventional bleaching or for toning on naturally light (level 8 or above) blonde hair. With a high concentration of nourishing mineral oil, BlondMe Developer supports the natural moisture balance of your clients' hair. Its caring formula supports hair's natural moisture balance which ensures your new blondes have brilliant shine and a wonderfully soft feel to their hair. Wella Color Charm 20 Volume Creme Developer Formulated specifically for Color Charm Hair Color. 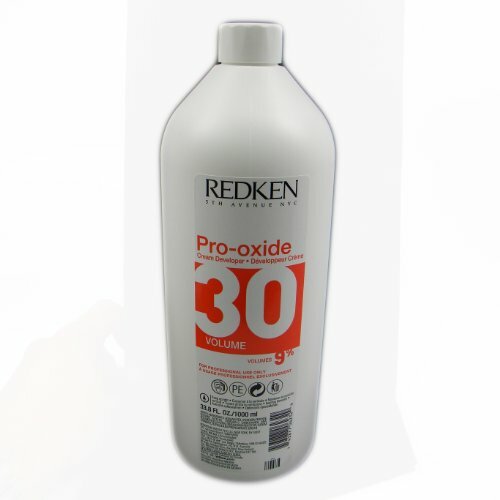 Specially stabilized for use with all permanent hair colors. Great for covering white/gray hair or lightening natural hair color. Use whenever coloring directions call for 20 volume developer. What it is: Liquid peroxide for RefectoCil eyelash and eyebrow tints! What it does: RefectoCil Oxidant 3% liquid is a stabilised developer especially formulated to be used with RefectoCil eyelash and eyebrow tints. 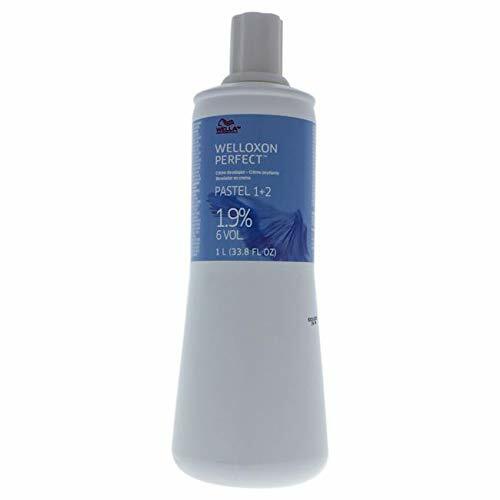 What else you need to know: Important note: Only the use of RefectoCil Oxidant guarantees the widely known perfect tinting results with RefectoCil tints. Therefore use RefectoCil Eyelash and eyebrow tints always with RefectoCil Oxidant 3% liquid or cream. Mix 10 drops of RefectoCil Oxidant 3% liquid with 2 cm of tint into a creamy paste using the application stick. Apply the paste without delay following the instructions for use of RefectoCil eyelash and eyebrow tints. 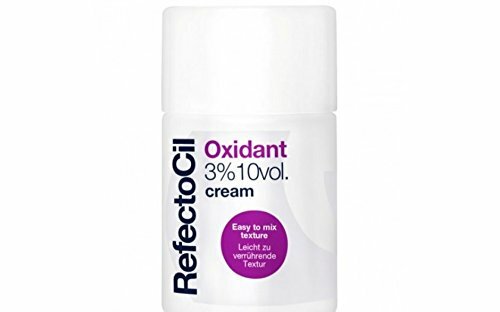 What it is: In addition to the developer RefectoCil Oxidant 3% liquid the new RefectoCil Oxidant 3% cream is now available a stabilised cream-based developer for RefectoCil eyelash and eyebrow tints. What it does: Due to its creamy consistency RefectoCil Oxidant 3% cream can conveniently be mixed with the RefectoCil tints to a homogenous paste which can be applied easily to the lashes and eyebrows. What else you need to know: The convenient dropping device allows the drops to be dispensed precisely and economically by pressing softly on the plastic body of the bottle. Also the dispenser guarantees that no impurities can get into the bottle. Only the use of RefectoCil Oxidant guarantees the widely known perfect tinting results with RefectoCil tints. Therefore use RefectoCil Eyelash and eyebrow tints always with RefectoCil Oxidant 3% liquid or cream. Mix 15-20 drops of RefectoCil Oxidant 3% cream with 2 cm of tint into a creamy paste using the application stick. Use the paste right after mixing and follow the instructions for use of RefectoCil eyelash and eyebrow tints. 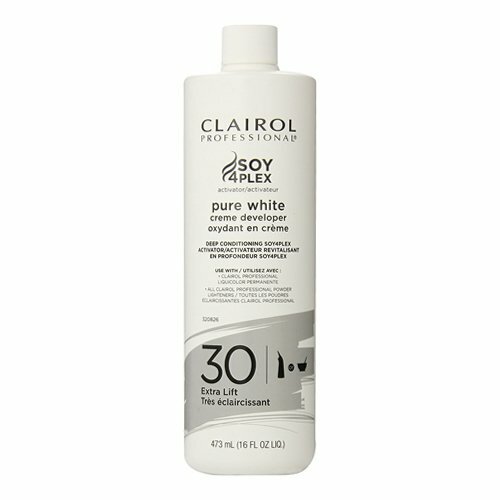 Clairol Professional pure white creme developer contains protective conditioners and emollients and is stabilized for 3 years. It is designed for use with permanent colors, and also perfect for use with all powder and liquid lighteners. Its creamy consistency makes it ideal for bowl-and-brush or bottle application. 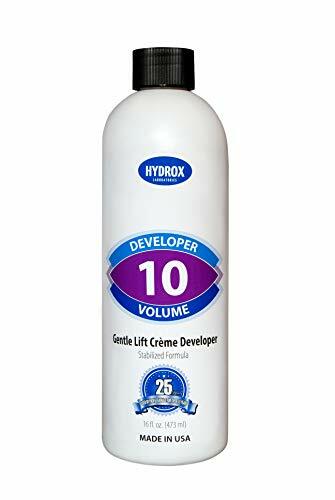 10 volume for gentle lift. 20 volume for normal lift. 30 volume for extra lift. L'Oreal Oreor 20 Volume Creme Developer Assures consistent uniform color and this product also bleach results. 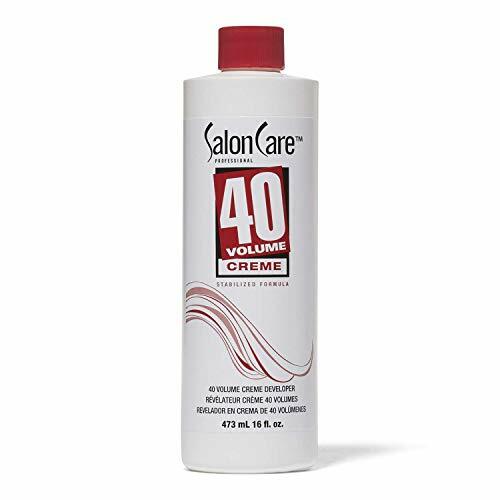 Salon Care 40 Volume Creme Developer helps achieve the lightest, brightest results in one step. This kit includes a Sleek Tint Applicator Brush for easy application and mixing of developer with hair color and/or bleach! Blondme Premium Developer contains a high concentration of Mineral Oil. This results in less water in the mixture, which may effect the dilution of dyestuff, alkalisers and peroxide. This also results in a higher concentration of active ingredients in the hair during the blonding process, which guarantees a superior shine and maximum results. What it is: The BLOND ME Lightener and Colour range provide the high performance needed to create personalized blonde looks. What it does: Premium Care Developer offer up to 9 levels of lift while the ready-to-use toners and white blending shades give endless creative potential for blonde hair. Blond Me by Schwarzkopf : The BLONDME Lightener and Colour range provide the high performance needed to create personalized blonde looks. 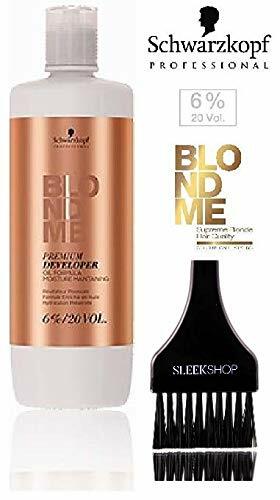 Blonde Me by Schwarzkopf Premium Care Developer offer up to 9 levels of lift while the ready-to-use toners and white blending shades give endless creative potential for blonde hair. 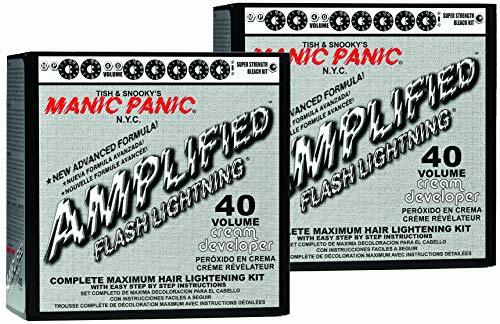 Manic Panic Lightning Hair Bleach Kit with 40 Volume Cream Developer lifts hair up to 7 levels to prepare your hair for the most intense Manic Panic colors. Each hair bleaching kit includes one dust-free bleach powder with blue toner, one 40 volume cream developer, one mixing tub, one tint brush, one plastic cap, one set of plastic gloves and instructions for use. Manic Panic Hair Bleaching Kits provide you with all the tools you need to prepare your lovely locks for Manic Panic hair dye. All Manic Panic hair dyes and bleach kits are free from gluten, ammonia, PPD, resorcinol and phthalates, packed in a Vegan formula. Every Manic Panic hair dye is PETA accredited, made in the USA and tested on celebrities - not animals. For best results, perform a strand test before bleaching hair with the Manic Panic bleaching kits. Hair dye results do vary, though, based on base color, porosity and hair type. Avoid using on hair with more than 10% grey coverage and read instructions included with the products. Manic Panic originated in 1977 as one of the first products sold at the Bespoke Boutique on St. Mark's Place in NYC. The vivid shades, tints and hues stemmed from punk rock pioneers Tish and Snooky Bellomo, who transformed the beauty brand into a leading hair color revolution still going strong 40 years later. Tish and Snooky don't just sell Manic Panic hair dye, they live it as they continue to perform regularly and showcase their vivid hair color on stage with legendary rock and roll acts. The New York native sisters, dubbed as the "Martha Stewarts of Punk Rock" believe in not only sharing colorful hair dye shades but also sharing a portion of their profits by donating 15% of Manic Panic's annual profits to various charities. 40 VOLUME CREAM DEVELOPER - This hair bleaching kit lifts hair up to seven levels. A premium hair lightener, this kit prepares your mane for intense Manic Panic hair dye colors. 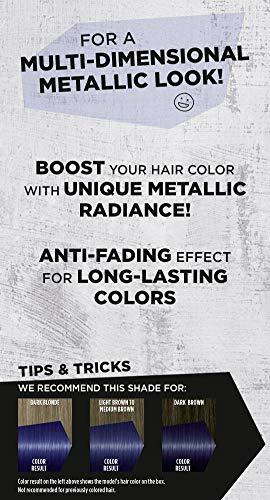 DUST-FREE BLEACH POWDER - The dust-free bleach powder helps to gently prepare hair for intense vivid colors during the lightening process. This hair bleaching kit ensures the hair lifts evenly for results you'll love. HAIR BLEACH KIT INCLUDES: One dust-free bleach powder, one 40 volume cream developer, one mixing tub, one tint brush, one plastic cap, one set of plastic gloves, and instructions for use. CRUELTY FREE, VEGAN FORMULA - This bleaching kit features vegan ingredients tested on celebrities, not animals. This bleach kit is vegan, cruelty free and PETA accredited. INTENDED USE - This Hair Bleach Powder & 40 Volume Cream Developer is intended for natural medium brown, dark brown, & black hair color to achieve medium blonde to very light blonde results. 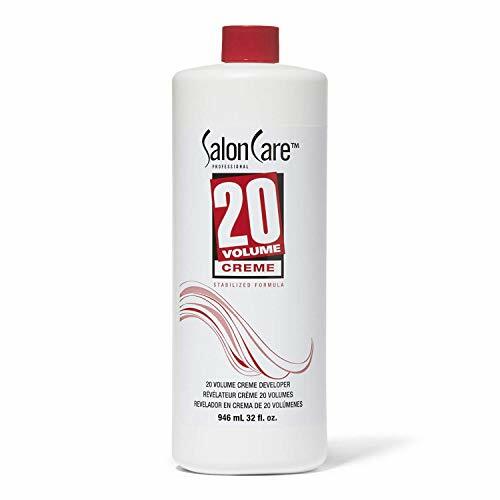 Salon Care 20 Volume Creme Developer (32oz) provides a thick, easy-handling gel consistency that is formulated for standard hair lightening action and superior gray coverage. 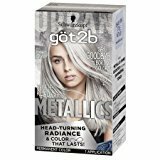 20 Volume Developer provides maximum color deposit for gray or white hair with lightening. 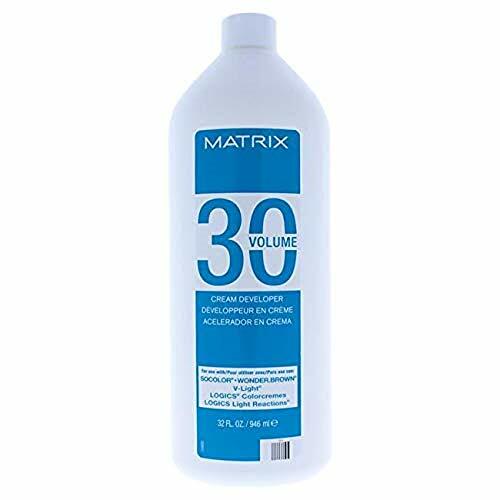 20 Developer is a stabilized formula that guarantees consistent, predictable results and even, beautiful color for use anytime hair color dye directions call for 20 volume hydrogen peroxide. 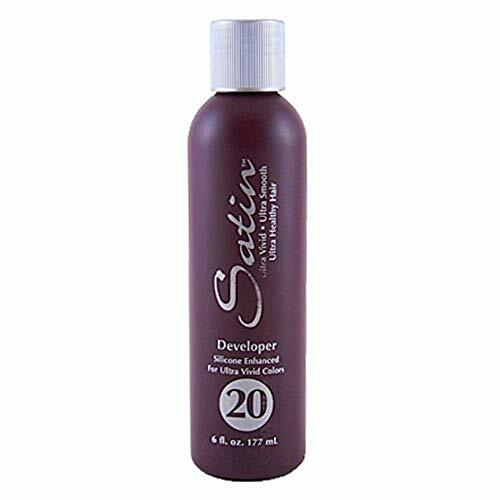 Satin Oxide Developer 6 oz - 20 Volume. This cream gives long lasting perfect shade in your hair. It keeps the colour in active contact with hair without any dripping. Releases oxygen while colouring and gives excellent coverage and uniformity. It keeps the colour in active contact with hair without any dripping.This cream gives long lasting perfect shade in your hair.Releases oxygen while colouring and gives excellent coverage and uniformity. Thick and easy-to-handle gel consistency provides uniform lifting color deposit for beautiful results. Leaves hair feeling silky smooth. Safe to use. Ideal for bowl-and-brush or bottle application. Top seller in the United States to 4,500+ retail and salon specialty stores. Made in the USA. 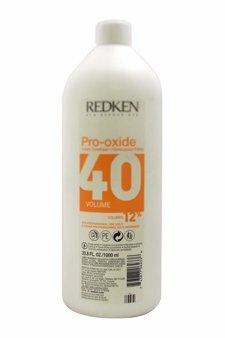 Redken pro-oxide cream developer peroxide is to be used with redken color fusion, color gels, and all redken lighteners. It has a super smooth consistency for easy mixing and application and provides predictable performance for all types. 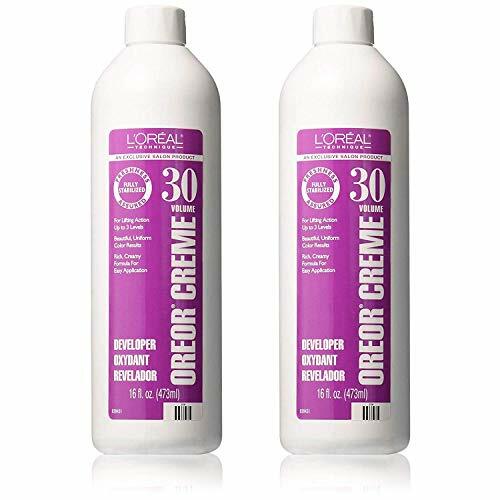 L'Oreal Oreor 30 Volume Creme Developer mixes easily to provide beautiful, uniform color results every time. Rich, creamy formula for easy application. Use 30 Volume for lifting action up to 3 levels.